Jimmy Owens a core faculty member at The New School for Jazz and Contemporary Music was awarded the National Endowment for the Arts Jazz Masters Fellowship, the nation’s highest honor bestowed onto jazz artists at an awards ceremony and concert on January 10th at Lincoln Center. “Jazz is, and has always been, the central purpose and passion of my life for over fifty years. I am truly honored to be recognized by the NEA for my contributions to this unique and beautiful art form — jazz. To stand on the shoulders of the amazing jazz artists who paved the way is truly wonderful. This is one of the most amazing moments of my life, and I thank the NEA for this prestigious award,” Owens told the NEA after hearing the announcement about receiving the award. 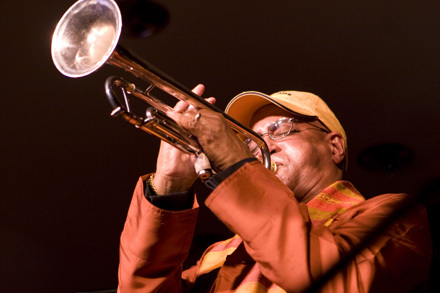 Over forty-five years of experience as a Jazz trumpeter, flugelhornist, composer, arranger, and educator Jimmy Owens many hats. He has performed with Count Basie, Hank Crawford, Duke Ellington, Dizzy Gillespie, Lionel Hampton, Max Roach, Herbie Mann, Charles Mingus, Billy Taylor and many others. . He has over 150 recordings with other artists and has been a recording artist for Atlantic, Polydor, and the A&M Horizon labels. As a composer he has performed his compositions with the Metropole Orchestra (Holland), Hannover Radio Philharmonic (Germany), Rochester Philharmonic, Symphony of the New World and the Brooklyn Philharmonic Orchestra (New York). His performances with Jimmy Owens Plus, have taken him to Asia, South and Central America, the Middle East and all parts of Europe. As an educator he has conducted workshops, master classes, lectures and concerts at major colleges and universities throughout the world. Owens is also very involved as an advocate regarding the rights of Jazz artists and was one of the founders of the Jazz Musician’s Emergency Fund- a program of the Jazz Foundation of America, Inc which helps individual musicians with medical, financial, and housing assistance. To view the ceremony and concert visit the NEA website.